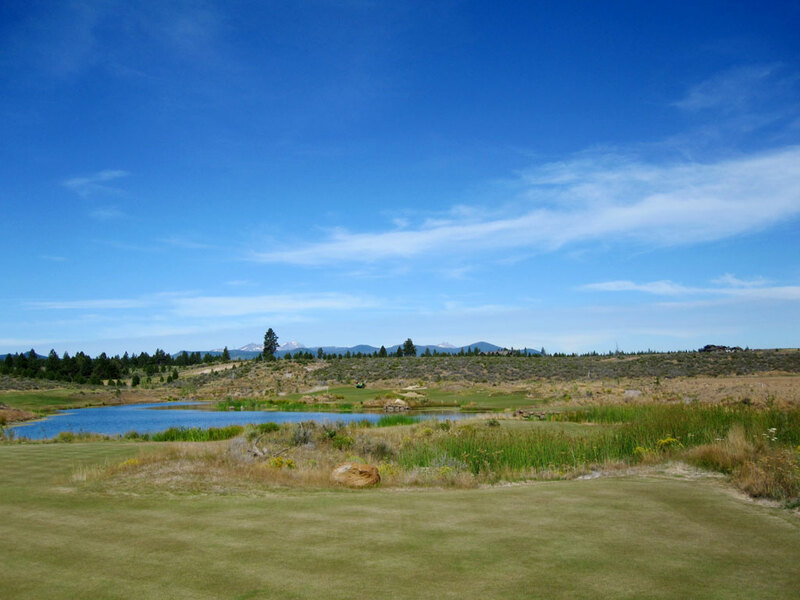 Course Website: Official Website - Visit Tetherow Golf Club's official website by clicking on the link provided. 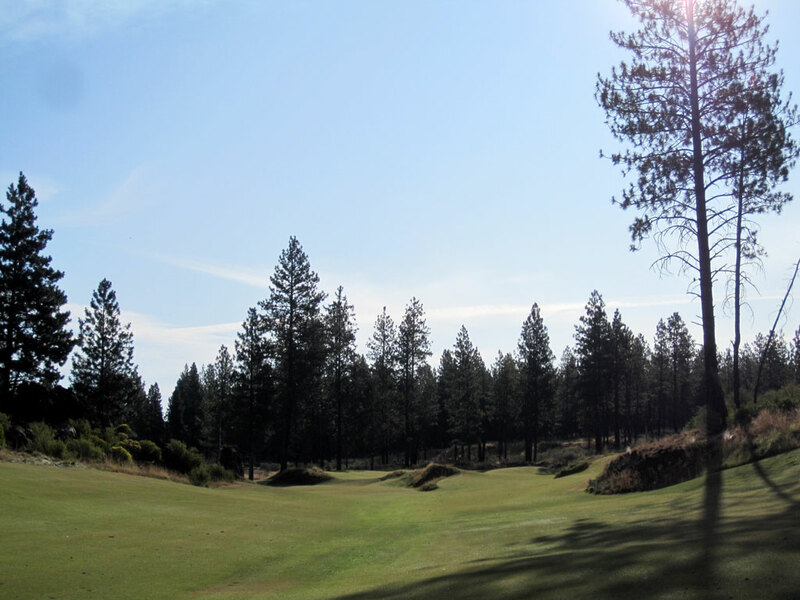 Accolades: Ranked 12th in Oregon on Golf Course Gurus' Best in State list. 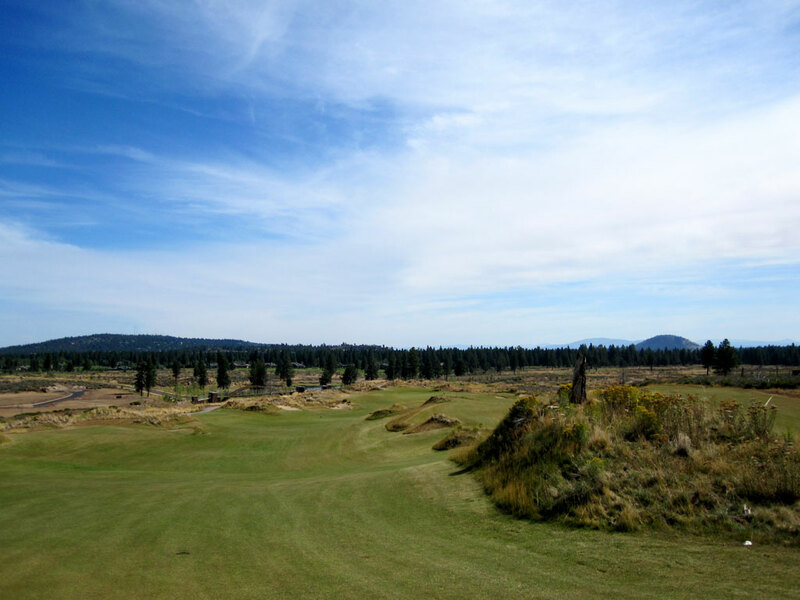 What to Expect: Tetherow is a controversial links style course found southwest of Bend in Central Oregon. 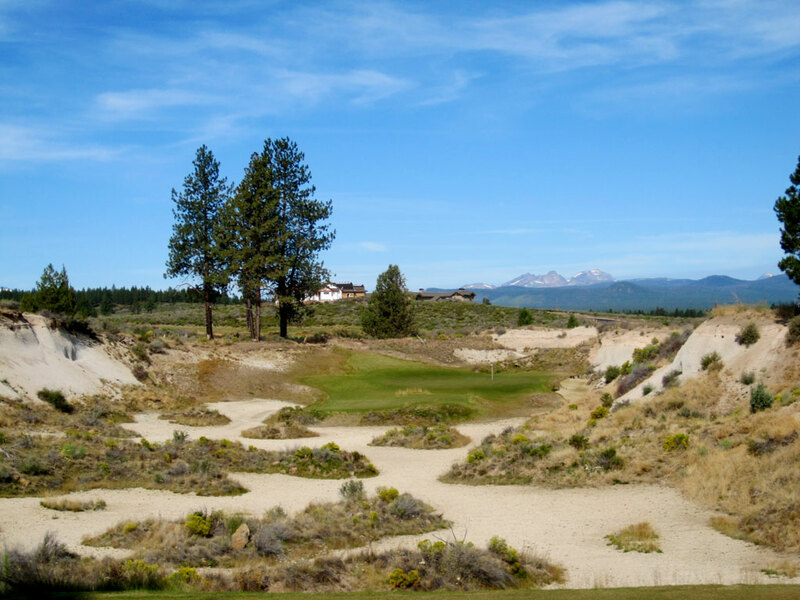 The controversy at Tetherow that has existed since opening day and continues to be addressed is the penal nature and number of bunkers, the shapes and undulations in the greens, and the overall playability of the course. The course employs firm fast conditions with bunkers peppered throughout the fairway, some visible and others not, resulting in some tee shots that appear to be great off the club but can sometimes be pushed by the fairway contours into a bunker. Various bunkers have been removed, mounds flattened, and course modifications made in order to increase the playability and enjoyability of the course. Fescue is the grass of choice for the fairways and greens which is ideal for firm conditions however most American golfers are accustomed to flying the ball all the way to the hole which can result in the ball tricking off the back of the greens at Tetherow. Instead, golfers need to learn how to utilize the contours fronting the green to work the ball up towards the hole. 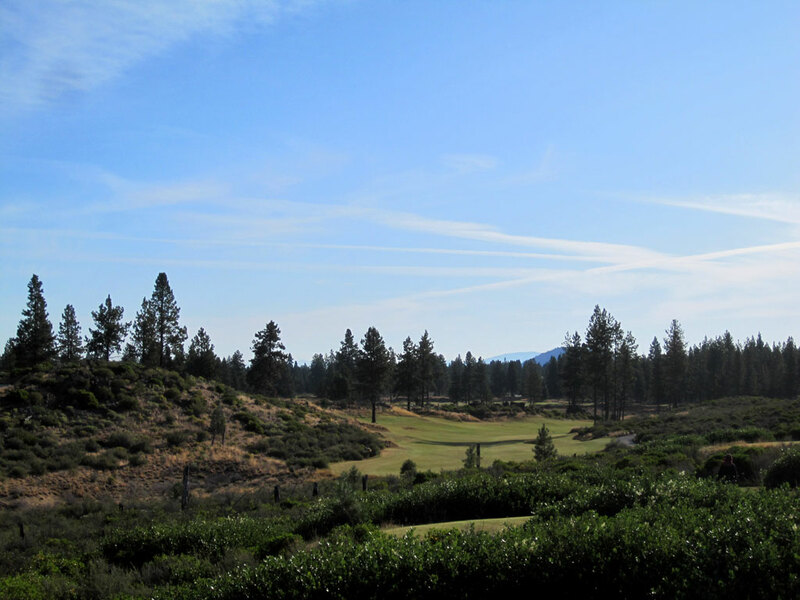 One complaint uttered at Tetherow is that good shots are penalized and bad shots are rewarded. In some ways there is truth to that statement, however once you learn to play Tetherow the way it was designed to be played rather than playing it the way you think it should be played then you’ll understand better what style of shots are required to score well. 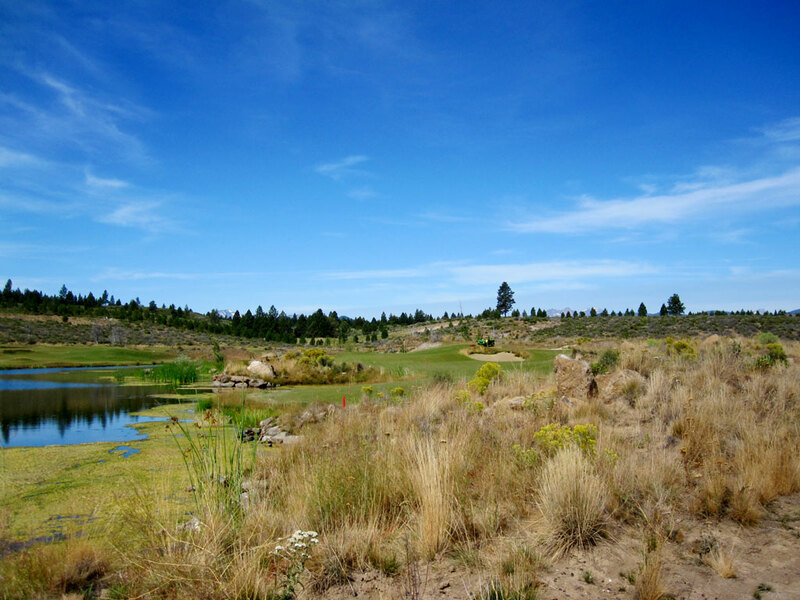 Aesthetically the course is stunning with the fescue grasses, sporadic tree placement, and the high desert mountain scenery all combining to create a lot of eye candy. In the end, there were things that I loved and things that I didn’t care for at Tetherow. I loved the scenery, the options off the tee, and the unique style. I didn’t care for some of the fairway mounding, the erratic results of how the ball would bounce, and the raised greens with sloping edges that are counter-active to a course using firm fast conditions on fescue turf. Forecaddies are provided which is a helpful asset to have when trying to learn the way to play Tetherow which will lead to a much more enjoyable experience. 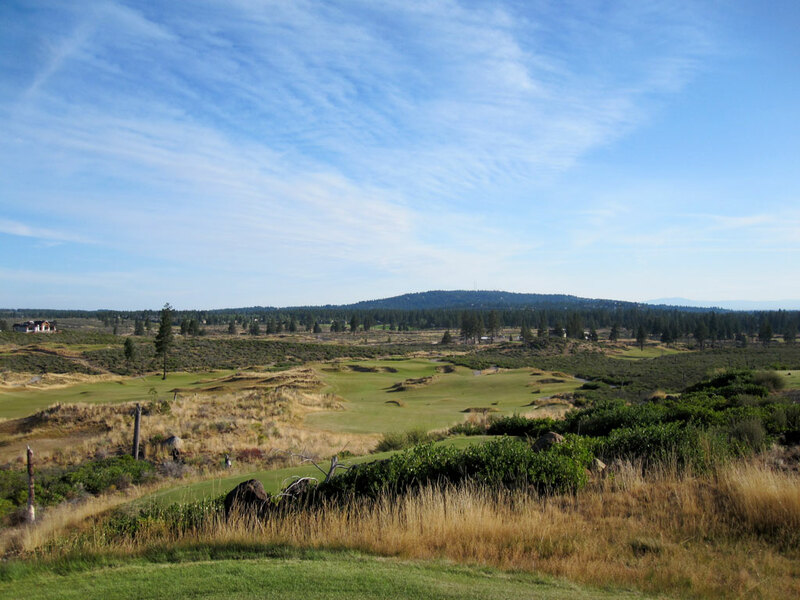 Signature Hole: 17th Hole – 182 Yard Par 3 – When you see pictures of Tetherow in magazines or publications the photo you see most is of the one-shot 17th. 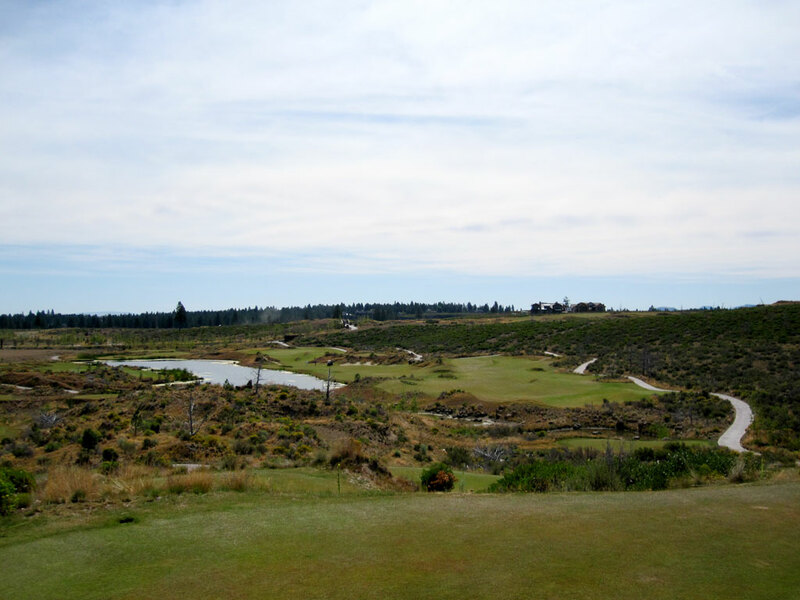 "The Quarry" hole plays to a green that stretches over 50 yards long but is less than 15 yards wide at most points. A massive waste bunker consumes the foreground with large sand banks frame the hole on each side. The only safe miss is long where a bank that feed a tee shot back onto the putting surface; but that is only a good play when the flag in is the back of this lengthy green. It is kind of a do or die type of hole, so hopefully you've kept something in the tank for a strong finish. Best Par 3: 3rd Hole – 197 Yards – While Tetherow mostly feels like a links experience, some American golf comes into play on the 3rd hole with a par three that plays over a pond. A pot bunker fronts the green and encourages you to play to either side of it, but if you choose to fly it then make sure you carry it long enough to clear the downslope on the back side which could propel the ball forward and potentially into the bunker flanking the back of the green. After being given a pretty good birdie opportunity on the 2nd hole, the 3rd is going to require you to be on your game just to card a par. Best Par 4: 6th Hole – 424 Yards – Another split fairway awaits on the 6th, but this time with a greater risk/reward scenario to consider. The safe play is to the right and short of the divide which leaves plenty of fairway to hit but a blind approach with plenty of carry into the green. The bold tee shot up the left side brings the water into play that flanks that side of the fairway but a successful drive leaves a shorter approach with a receptive angle into the putting surface. It is a classic risk/reward opportunity where you have to decide whether you are better with your driver or your irons. 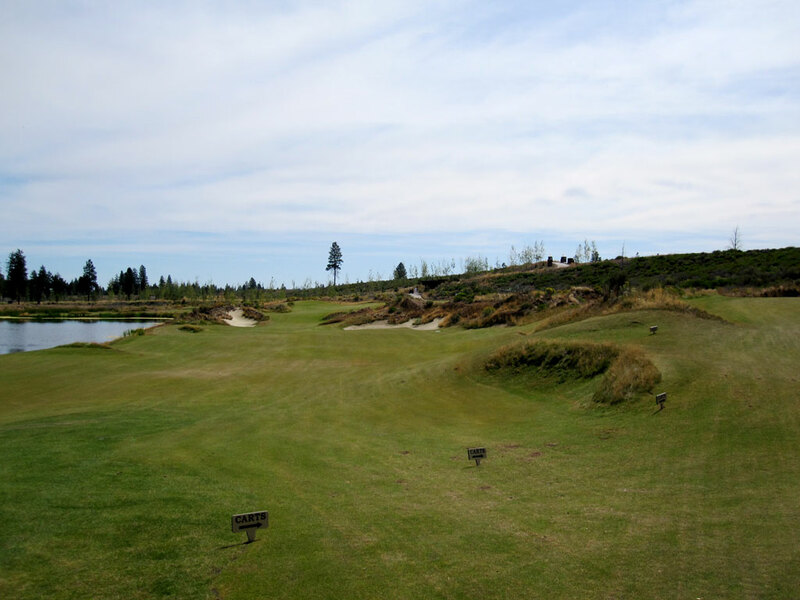 Best Par 5: 2nd Hole – 546 Yards – The par five 2nd features a split fairway that is divided by a sharp berm that is covered in long grass and bushes. Speed slots are afforded on each side so if you manage to catch one you'll be in great shape for attacking the green in two. Going to the fairway on the right will shorten up the hole but will bring the bunkers into play more that flank the right side of the green. From the left side the perfect approach stays just right of the bunker 50 yards short of the green and bounds its way onto the left side of the putting surface. The ideal layup finishes 75 yard short of the green's center as that clears the berm but stays short of the last set of fairway bunkers. Birdie Time: 10th Hole – 316 Yard Par 4 – An elevated tee shot and not a lot of yardage to cover is the perfect recipe for a birdie, and that is exactly what you get to start the back nine. A pair of bunkers sit in the middle of the fairway 85 yards from the green and as long as you avoid them you should be in good shape. If you stay to the higher right side you can bound your ball onto the putting surface through the opening afforded at the front right, while going up the left side will leave you on a nice flat lie to chip from or feed you to a bowl in front of the green where you can chip or putt from. David McLay Kidd is offering you a gift here, make sure you take advantage of it. Bogey Beware: 11th Hole – 466 Yard Par 4 – Hopefully you took a birdie last hole because you make need the extra stroke here at the 11th. The tee shot plays to a fairway that slopes right and pushes balls toward a small grouping of trees that can quickly block your angle into the green if you don't keep your drive far enough left. Trying to cut the corner on this dogleg right is a futile thought for most mortals as it takes over 300 yards of carry and plenty of height to clear the trees guarding the bend. The greensite sheds off approach shots like Teflon with a clear line of attack remaining a mystery except through the sliver of an opening on the right side of the green. This hole is just a brute where big numbers can come into play pretty quickly.